Get the personalized attention you deserve to boost your communication skills. 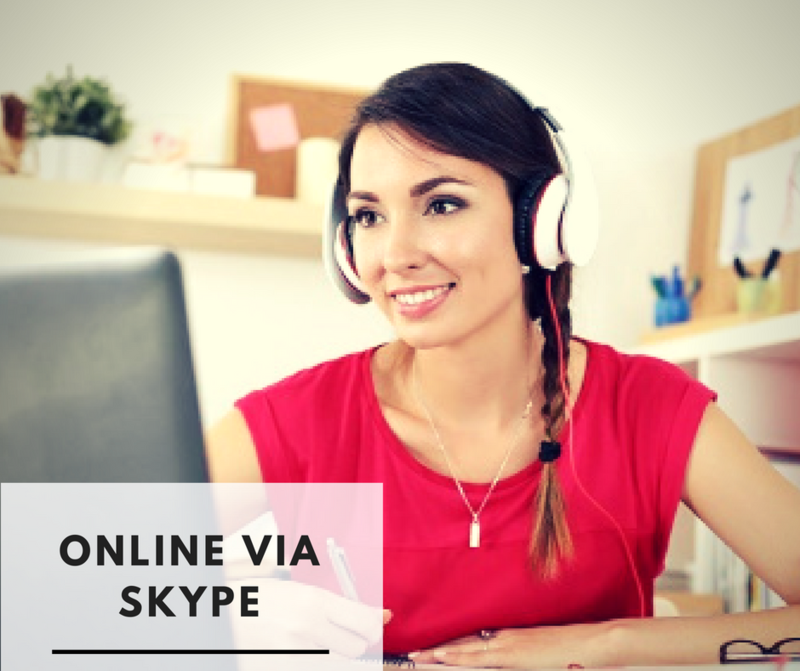 From the comfort of your own home or office, saving you time wasted in commute, allowing for sessions outside of the standard business hours. A video connection makes the lesson no different than a face-to-face situation. For visual learners who rely on the physical presence of their tutor for a more encouraging and engaging interaction or for group and company trainings. Maximize your lunch breaks and turn them into a learning experience. Practice English in a real-life environment. Especially useful for business and leisure travelers or people who have to deal with foreign visitors. Business Analyst -- "I highly appreciate the professional attitude and competence not only in the language itself but in different areas. That helps me a lot with my communication skills in the field I work in." Public Relations -- "An interesting and varied approach, I know I am learning exactly what I need. The American accent helps with my pronunciation and understanding native English speakers." Accountant -- "Nadeen is the best English teacher ever! I strongly believe that she can help anyone. She explains things and presents information in an interesting and attractive way. She is responsible, flexible and organizes the lessons based on the individual needs." Network Security -- "Nadeen is an awesome tutor. She has a great personality and is always willing to help. She will continue to explain things until you understand the information. Nadeen makes class interesting and exciting and she is always in a good mood." Managing Director -- "Classes are amazing. You learn native pronunciation and the necessary grammar. All topics are very interesting." HR Expert -- "I've been studying Business English for HR with Nadeen for the last half a year. I'm grateful for the individually selected program and relevant materials which helps me develop not only my English, but also my ideas in the field."